A readily recognizable roadside tree to those who have driven or cycled around the north shore of O’ahu. 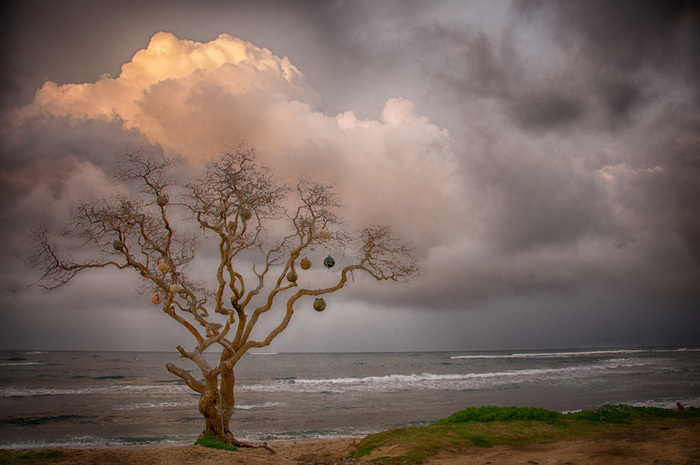 This image of renewal impression catches a moment of the clouds in sync with this unique tree looking eastward as the sun sets. A L O H A.